As one of the most influential musical artists, Duke Ellington has made significant contributions to jazz and society, documenting meaningful moments in African American culture. The Detroit Jazz Festival will celebrate Ellington’s impact, presenting his “Black, Brown and Beige” symphony for big band and other noteworthy works – including “Creole Love Cal,” “Diminuendo and Cresendo in Blue,” “Black Tan Fantasy” and “Black Beauty” – with the first concert of the 2013 Detroit Jazz Festival Community Series on March 10, 2013, at 3 p.m. at The Fillmore, Detroit. Joining the Detroit Jazz Festival Orchestra will be world-renowned conductor David Berger, featured Detroit-native tenor sax soloist James Carter and Detroit vocalists Alice McAllister Tillman and Shahida Nurullah. To highlight the meaning behind the music, Berger also will offer narrative and background on each of the pieces, as well as insight on Ellington’s original performance of “Black, Brown and Beige” at Carnegie Hall in 1943. 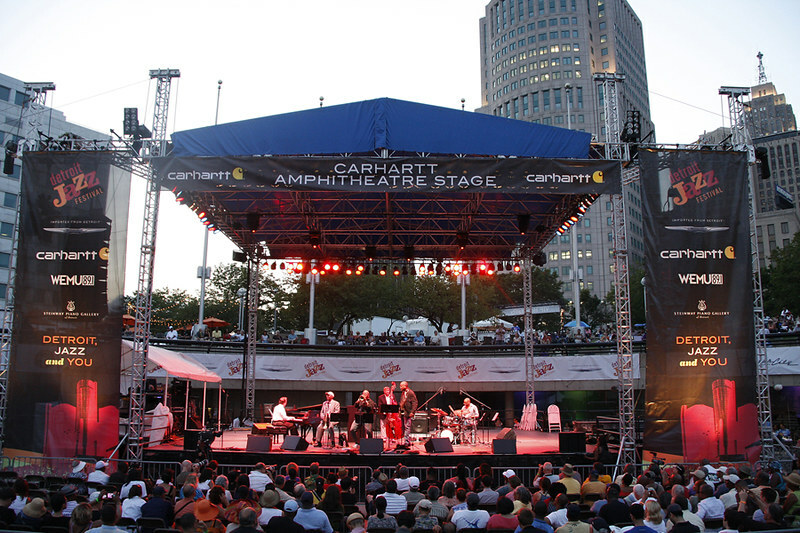 The Detroit Jazz Festival is more than just a one-weekend event, concerts and community initiatives are held throughout the year to celebrate the jazz culture and history. Programs that have continually enriched communities will still be in place in 2013, including JC Heard Jazz Week@Wayne and the Jazz Guardian Award. Tickets to the concert range in price from $15 to $35 and can be purchased online HERE. can't wait for the 2013 festival!